Wild parsnip is a tall, native biennial with yellow flowers, rough hairs on the stem and leaves and has a pungent smell when crushed. It is our only member of the carrot family that has yellow flowers with pinnate leaves. Flowering occurs from June to September. Wild parsnip is a plant of neutral and calcareous grassland found in rank swards on downland, on verges, and rough and uncultivated land. 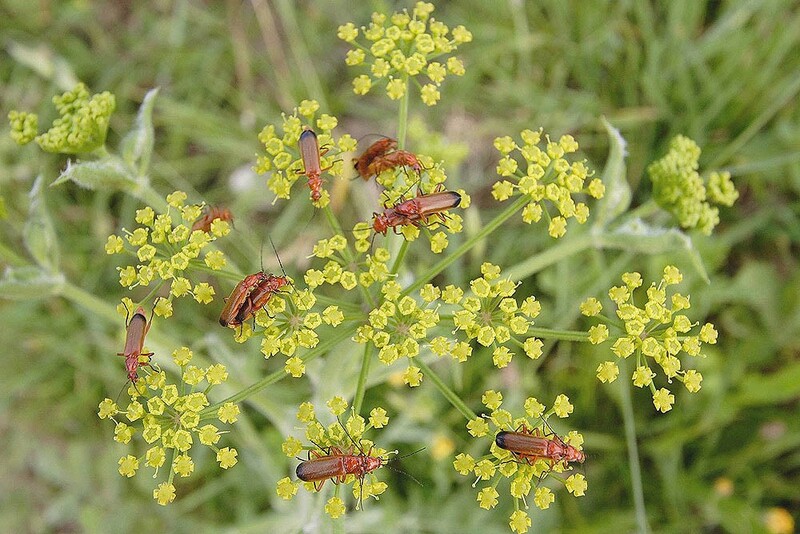 Its mass of simple, open flowers is attractive to a wide range of insects, particularly hoverflies and various types of beetle such as Red-headed cardinal-beetle - Pyrochroa serraticornis as shown in the photograph above. 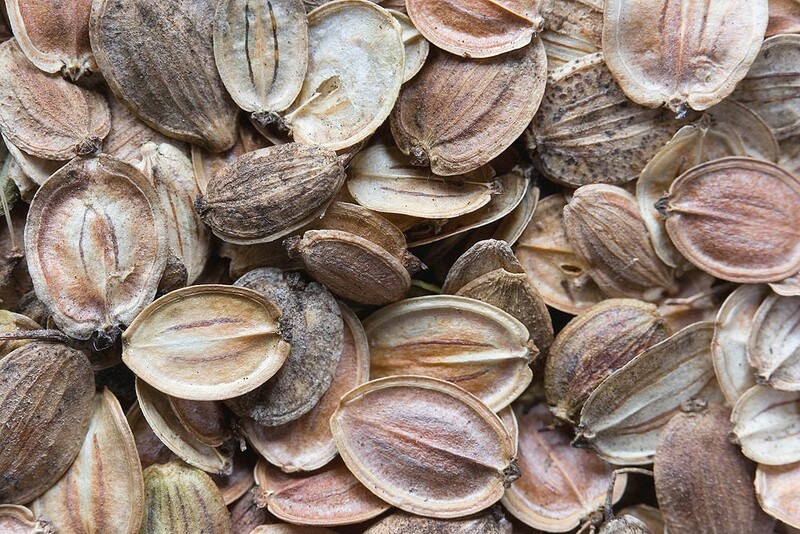 Best sown in the autumn but can be sown throughout the year.